From obtaining a San Diego business license to figuring out where the nearest San Diego startup incubator is, or filing a patent in San Diego, there’s no doubt that starting a business in San Diego can be quite a challenge. That’s why we created this comprehensive guide so that all small businesses in San Diego know exactly where to start, as well as what their next steps are before filing for a patent (or two). So without further ado, here are the top 20 essential resources for entrepreneurs and inventors in San Diego, CA. Before we get started I wanted to bring special attention to this incredible resource we recently found on Startup San Diego’s website. They list over 100+ resources in San Diego and categorizes them across headlines like Job Boards, Law Firms, Co-Working Spaces, Meet-Ups, etc. Ranked 4th in the nation for start-up creation, the University of California San Diego is well-known for helping businesses such as CureMatch and MemComputing establishing themselves in and outside of the classroom. From its dynamic staff to its state-of-the-art accelerators and incubators, the University of California in San Diego is considered an ideal place for students to start making their business dreams a reality. In today’s business world, The University of San Diego has made a name for itself by being a startup’s best chance at success. Not only do they harness the entrepreneurial spirit of today’s creative-minded start-ups, but they also help transform innovators’ bold ideas into wonderful success stories. To do this, they invite students to participate at the Center for Peace and Commerce’s Global Social Innovation Challenge. They also have students compete at the V2 pitch competition and present their ideas at the Legacy Entrepreneurship Conference. It’s no wonder that this is the place where innovative concepts go from anonymous to a world-wide phenomenon seemingly overnight. The San Diego Small Business Meetup Group is considered one of the largest business alliances in Southern California. It offers semi-regular networking events, workshops, and speaker events, and other personal development opportunities for entrepreneurs in San Diego. Whether you’re looking to improve your pitching skills or hoping to meet other entrepreneurs in the area, The San Diego Small Business Meetup Group is one of the best places to start. Always on the move, this one-of-a-kind small business administration group has been helping startups get the assistance that they need from training to credit and loans. Founded by four pioneering leaders: Mimi (Lufkin) Van Sickle of Women’s Economic Growth (Weed), Sheilah Rogers of West Company (Ukiah), Debi Clifford of Women’s Initiative for Self Employment (San Francisco), and Forescee Hogan-Rowles of the Coalition for Women’s Economic Development (Los Angeles), this group of leaders has been working with businesses of all different types and backgrounds since 1993. So if you’re a startup looking for a good place to start, CAMEO is definitely one to look towards to. Whether you’re looking for a good place to practice your pitch or learn a little more about how patents work, the San Diego Inventors Forum is considered one of the best places for inventors to interact with other inventors and entrepreneurs from all over San Diego. 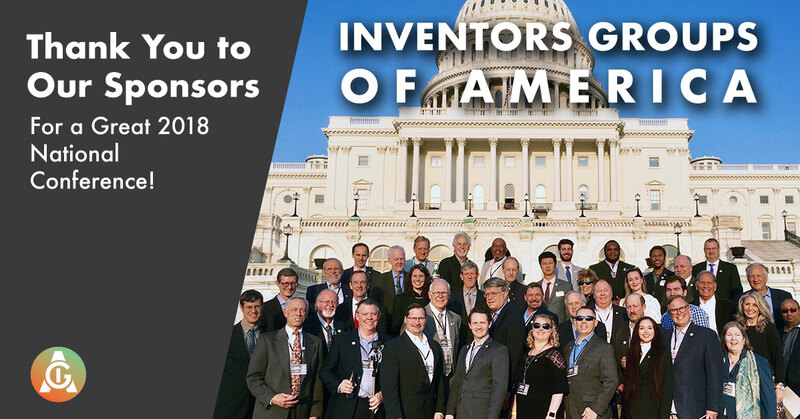 Founded in 2017, this national entrepreneur support group strives to teach individuals how to best commercialize their product ideas and to strengthen and support inventor groups throughout the nation. In addition to providing entrepreneurs resources, Inventors Group of America also welcomed guest speakers to communicate with them on a variety of topics such as how to venture and how to patent an invention. They even have a platform for entrepreneurs to safely communicate their ideas. Inspired by business guru, Seth Godin, the San Diego Entrepreneur Meetup Group strives to help startups and other businesses establish themselves. To do this, the group teaches others how to build strong, long-lasting connections and communicate. Always on the move to becoming the ideal entrepreneurial role model for other cities in the United States to follow, the San Diego Entrepreneur Center & Startup Society has been helping entrepreneurs of all types figure out where to start and stand out from the crowd. Not only do they hold events and workshops throughout the year, but they also offer shirts that you can order to show off your San Diego entrepreneurial spirit. Considered the “Greatest Show (and Tell) on Earth”, Maker Faire is one of the few family-friendly festivals of invention, creativity, and resourcefulness, here in San Diego. With inventors from all over the world presenting their inventions in public, open space, the Maker Faire is definitely a celebration of the Maker movement. San Diego SCORE is part of a national association which serves as a resource partner with the U.S. Small Business Administration (SBA). This volunteer, non-profit organization– whose only goal is to promote the success of small business in both San Diego and Imperial Counties, offers burgeoning small business owners excellent resources and wise advice. They even offer workshops that teach how to win at establishing and managing a successful business. As well as providing pro bono and completely confidential guidance to businesses of all backgrounds. Now located at 8825 Aero Drive, Suite 101, SCORE even has programs dedicated solely to female entrepreneurs. 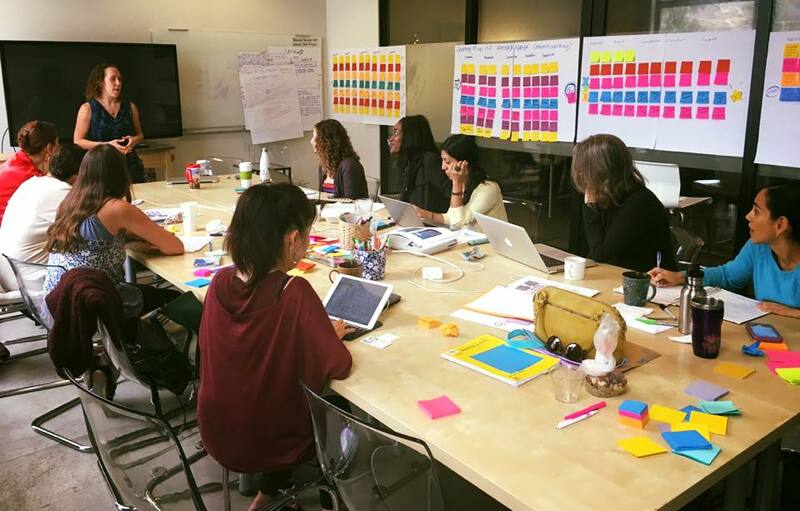 Hera LABS is a safe place for women-led startups to test their ideas and grow their businesses. It is considered one of the most unique business accelerator for aspiring entrepreneurial women in all of San Diego. 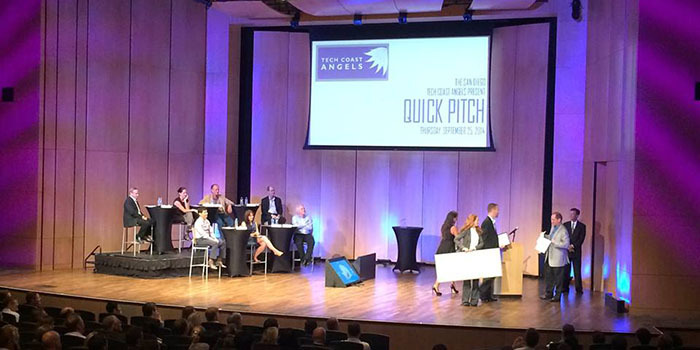 From time to time, the accelerator would host pitch competitions, among other business-related events. It’s no wonder that innovation is happening at Hera LABS all of the time. Evonexus is one of Southern California’s leading non-profit startup technology incubator for startups of all types. It is supported by some of the largest multinational corporate investors in the world. In addition to extensive IP support, Evonexus has mentors that are accomplished executives, entrepreneurs, and investors, current in their industries. So if you’re looking for a good place to get your business running in a safe environment, check out Evonexus. It’s no wonder that 170 VCs have invested in EvoNexus Portfolio since it first opened its doors. The Murrieta Innovation Center is a city-run incubator that offers free space and other resources offered by YES Place. It is designed for medical technology businesses to practice using the skills that they have. Some of the mentors from SCORE even come to the center to teach young people about entrepreneurship, science, and technology, engineering and math (in other words, STEM subjects). With over 300 members, Tech Coast Angels is one of the largest and most active angel investing companies in America. Not only do they provide companies money, but they also provide caring and professional mentors. From Hera Hub San Diego to We Work San Diego, investors and entrepreneurs can choose from a multitude of unique shared coworking spaces. There is even one for lawyers striving to become the future business leaders of America. For more information, please read our article, Top 17 San Diego Co-working Spaces. In the article, we provide an in-depth explanation of all the different types of co-working spaces available in San Diego! Among the other resources offered at the SDPL, perhaps there is none more invaluable to the entrepreneur than it’s Patent & Trademark Resource Center. Because patent searches can be extremely difficult and time-consuming, this resource allows inventors an outstanding and absolutely free way to try to conduct their own initial research. Although this officially designated Patent and Trademark Resource Center is located at the Central Library, it can be accessed remotely. This direct line to the U.S. Patent and Trademark Office (USPTO) offers fees, filing, patent searching and finding registered patent attorneys and agents. In short, all the info a budding entrepreneur needs. Located on the third floor of the Central Library, this state-of-the-art lab offers machines for all types of innovators. From 3D printers to CNC milling machines, the lab is an entrepreneur’s gem. Click here to learn more about the #1 patent firm in San Diego! In the meantime, what other resources would you recommend to your fellow entrepreneurs and inventors in San Diego? Please let us know in the comments below!